Hey hey hey! Happy weekend! Tell me! How are you? Lots of exclamation points in your responses, I hope. We’re doing great over here after a super busy week. This weekend, we’re heading to my sister-in-law’s baby shower and let’s be real: counting down the days until next Friday when the newest Cars 3 movie comes out. Max has been waiting forEVER. Speaking of, in a few days I’ll be sharing Max’s 2.5 year update as well as our current favorites over on the baby page! Crazy. GUYS. freaking s’mores sliders. you have to see these! crispy barbecue beans! these sound so good. this beautiful, incredible, amazing garden inspo. and yes yes yes please to chocolate peanut butter banana bread. LOOK at that. the most gorgeous beet hummus ever. all of these no-churn ice creams? amazing. lemon herb pasta salad. so much love. obsessed with this mediterranean tomato and feta dip. i will never stop loving a good old fashioned dirt dessert. and then all the deets for a detox smoothie. sweet tea pork chops with grilled peaches. want to make this! delish lemon pudding with blueberry compote. that combo! And now, five recipes you should try this weekend! Fontina + Blackberry Basil Smash Grilled Cheese. This is insane! Coconut Curry Steamed Mussels. Grab some fries and bread and this is amazzzzing. 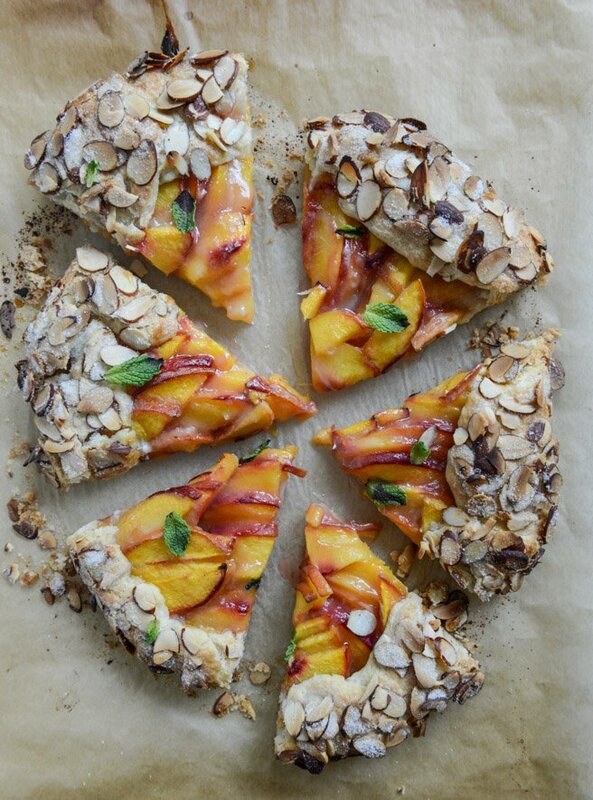 Ginger Peach Galette. For those of you who also hate making pie! Brown Butter Garden Vegetable Pasta. This is one of the most popular recipes here on the site! So good. Fudgy Avocado Brownies. Oh yes. They are a thing. You had me at s’mores sliders. Done and done. What are your Cape May recommendations?! I tried to find your post about it and found one of pictures but that’s all. Great links! That Brown Butter Veg Pasta looks great! Also! I’ve been craving soft served ice cream for more than a week and that pic at the top is just teasing me!! Coconut Curry Steamed Mussels. Grab some fries and bread and this is amazzzzing. ?